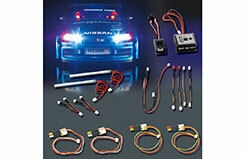 ACE RC proudly introduces the LED Lighting Kit II System for 1/10th scale scale drift racing cars!A great offer for dressing up your EP sedan with 14 light bulbs (optional upgrade to 20 lights)and 6 different lighting modes.The LED Lighting Kit II controls a variety of lighting effects including headlights,tail lights,passing and turn signal lights,passing and turn signal lights,brake lights,fog lights,blinking hazard lights,back and forth flashing for acceleration and realistic warning sounds.The effects can either be white,blue,orange or red depending on selected mode.No more translucent film or paint to simulate brake lights and turn signals! 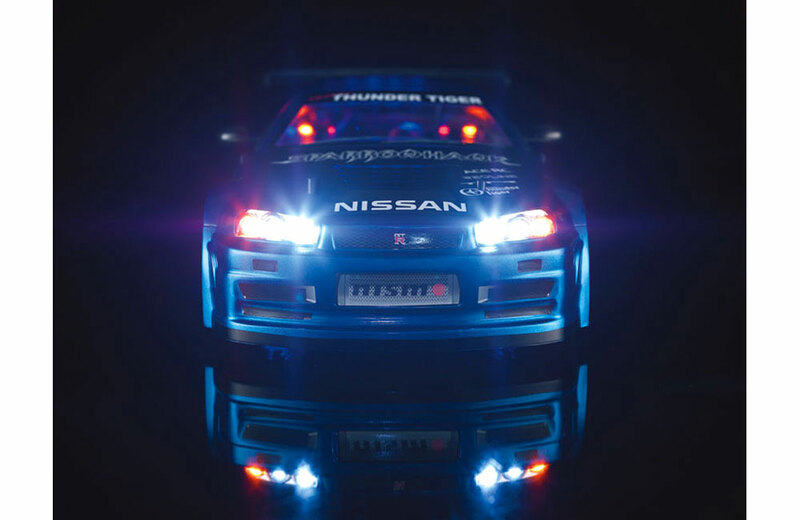 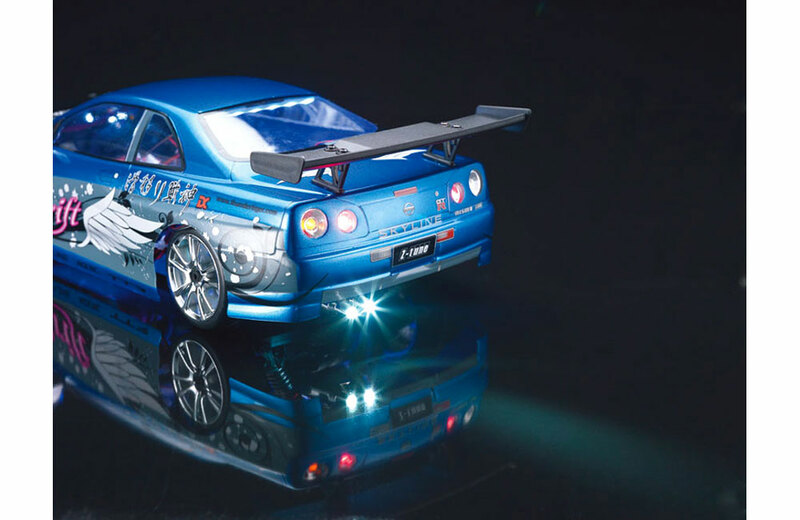 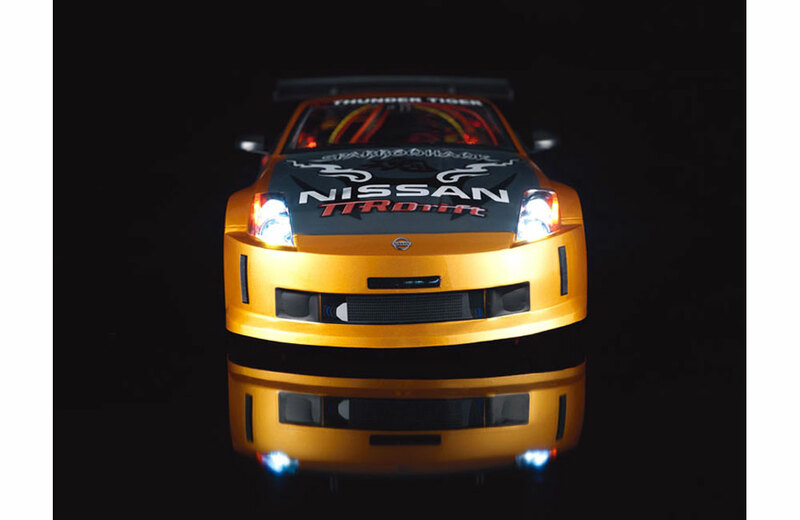 Mounted on a tuner lexan body with chrome-plated light casings,the LED Lighting Kit II delivers stunning effects satisfying even the most demanding modelers! 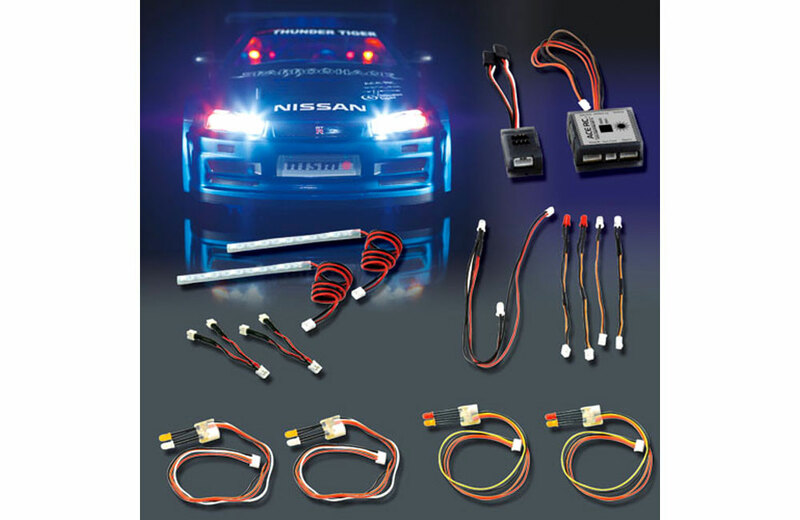 Complete instrucation manual included to assist you with installation and selection of the various modes.Everything plugs into standard battery and receiver plugs.The LED Lighting Kit II System is also awesome for custom lighting mods. 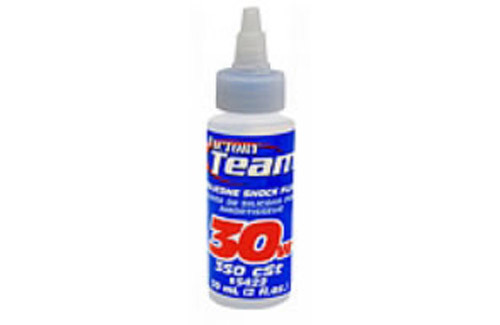 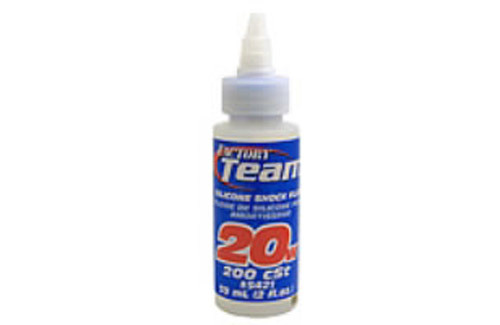 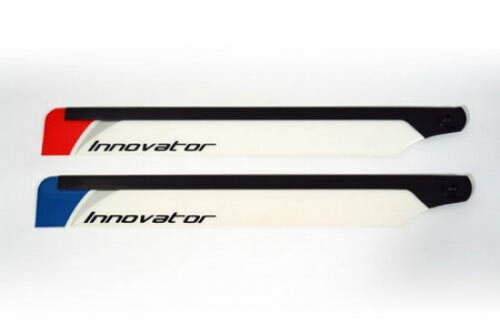 Replacement part for the Thunder Tiger Innovator. 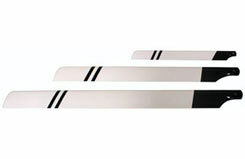 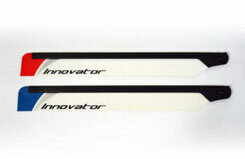 Carbon Fibre Blades to suit 30 Nitro/550 Class Helicopters.